The Hinjewadi Branch of PPS began functioning in 2013. The school is affiliated to the Central Board of Secondary Education (Affiliation No:1130565). The medium of instruction in the School is English. Our school is dedicated to providing all round development to the child and not merely follow a textbook oriented approach. Pawar Public School, Hinjewadi is an ISO 9001-2015 certified. 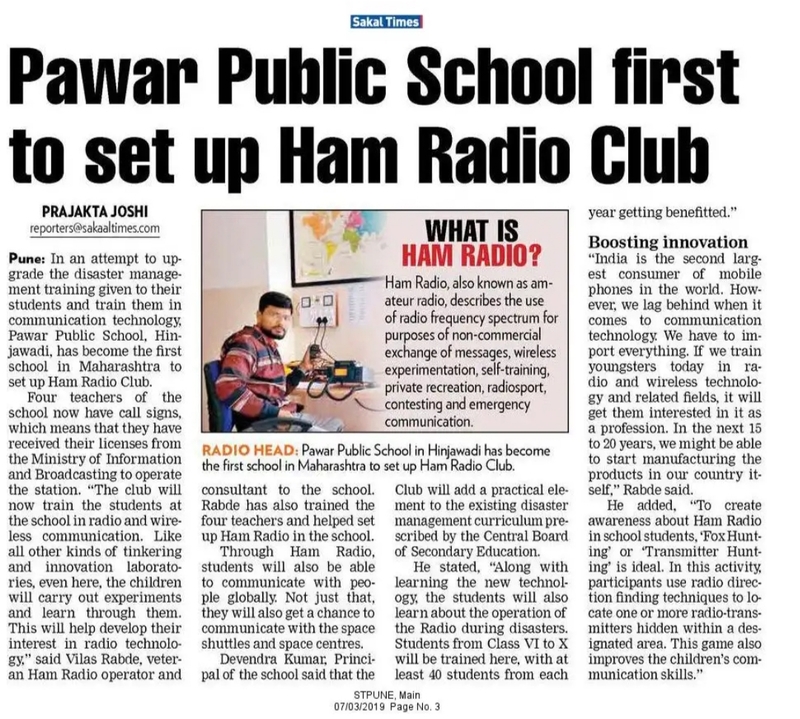 * Workshop & Interaction Regarding HAM Radio.